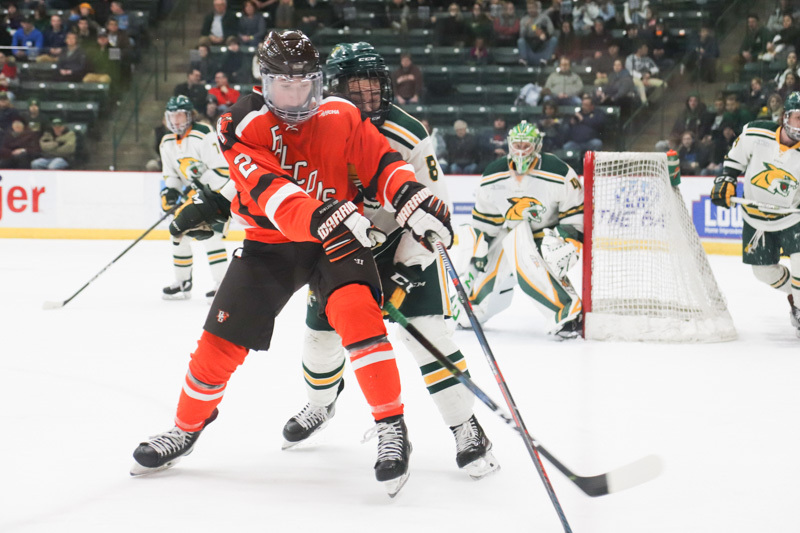 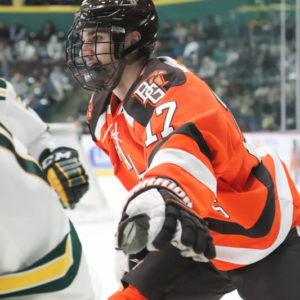 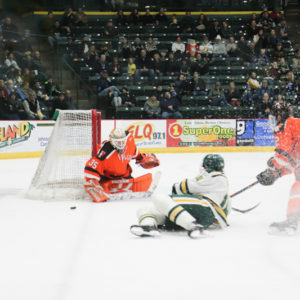 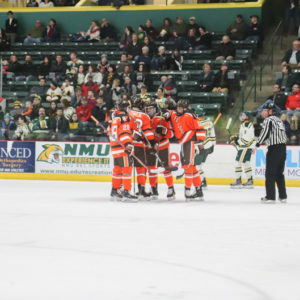 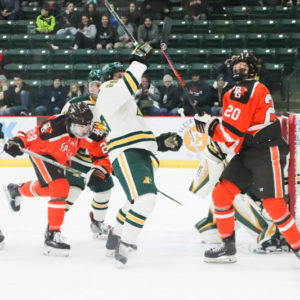 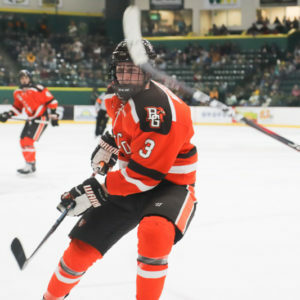 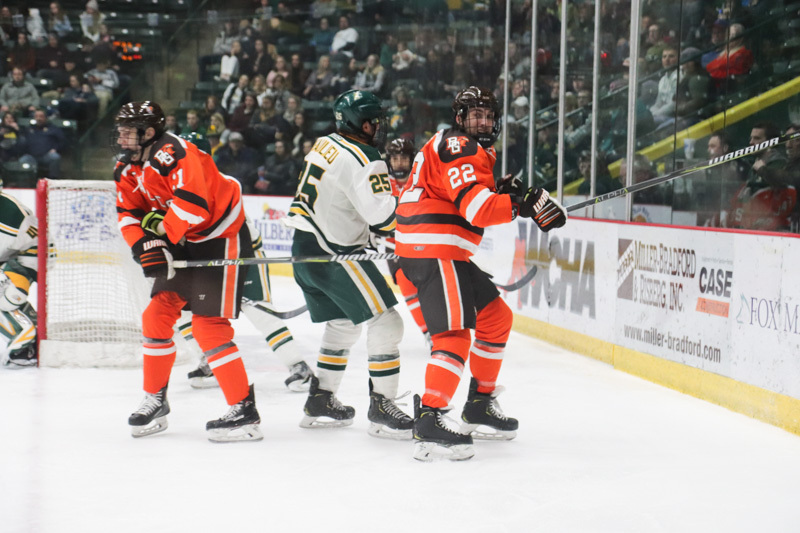 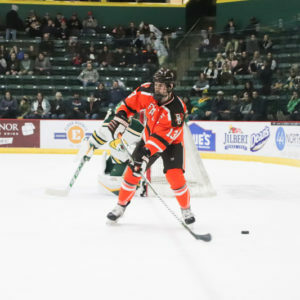 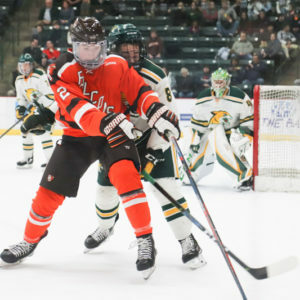 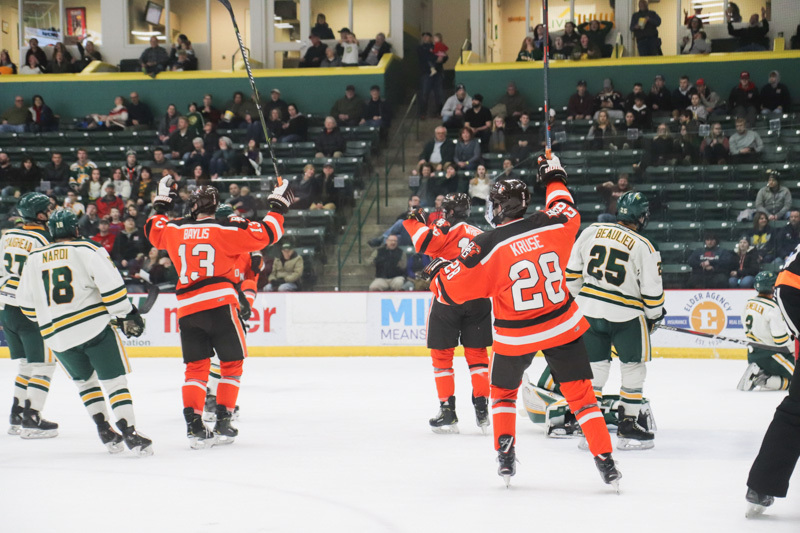 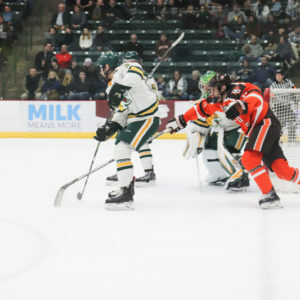 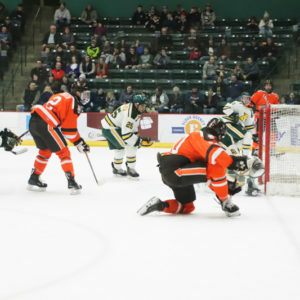 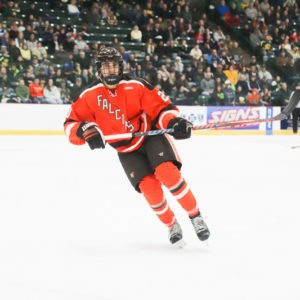 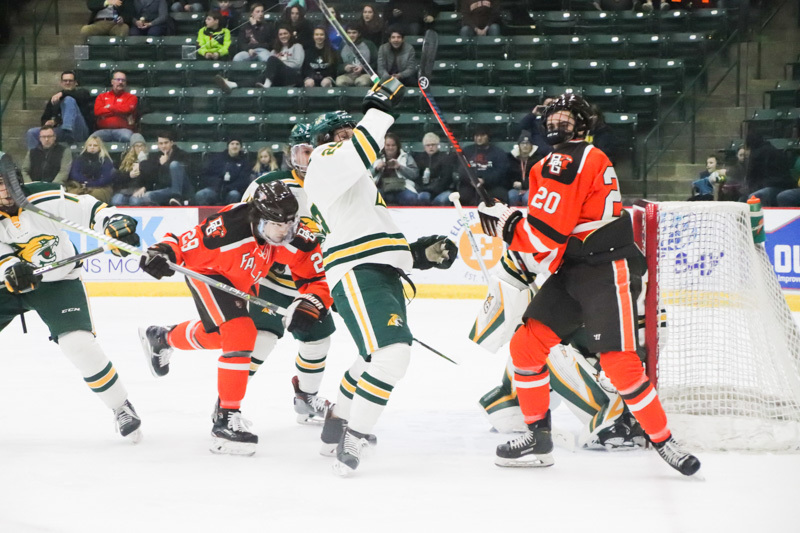 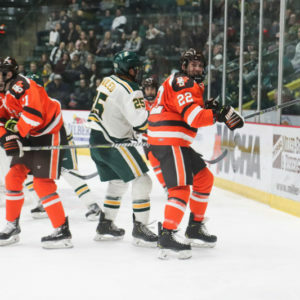 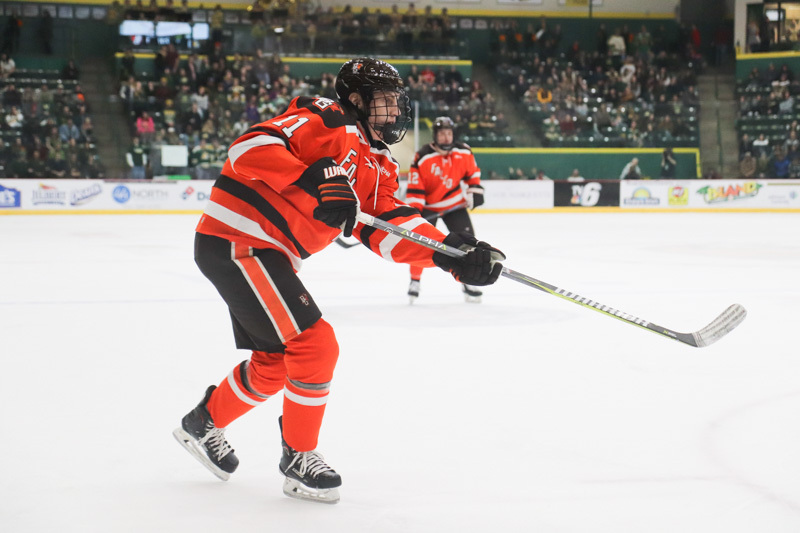 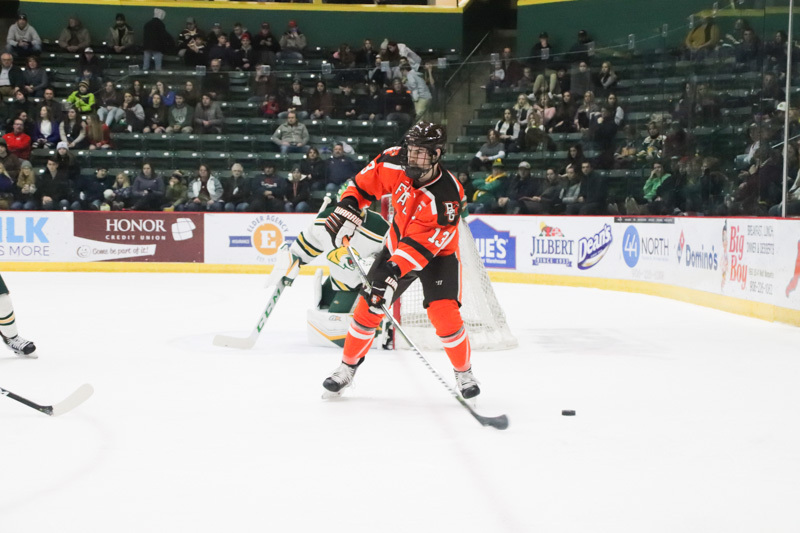 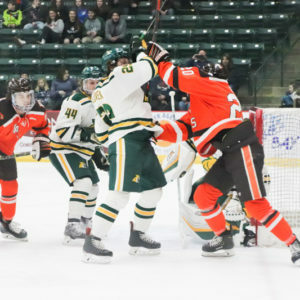 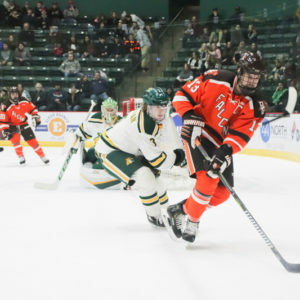 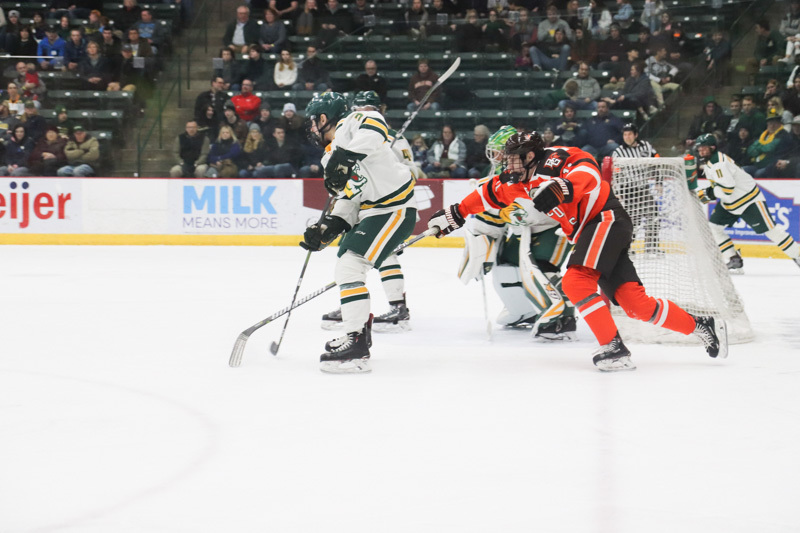 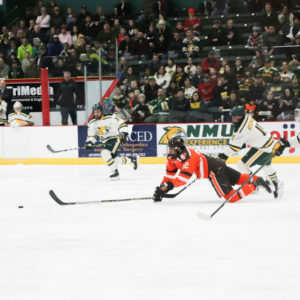 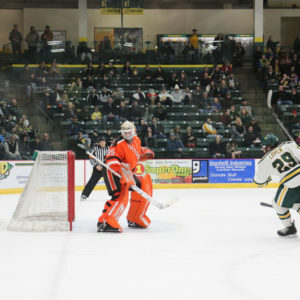 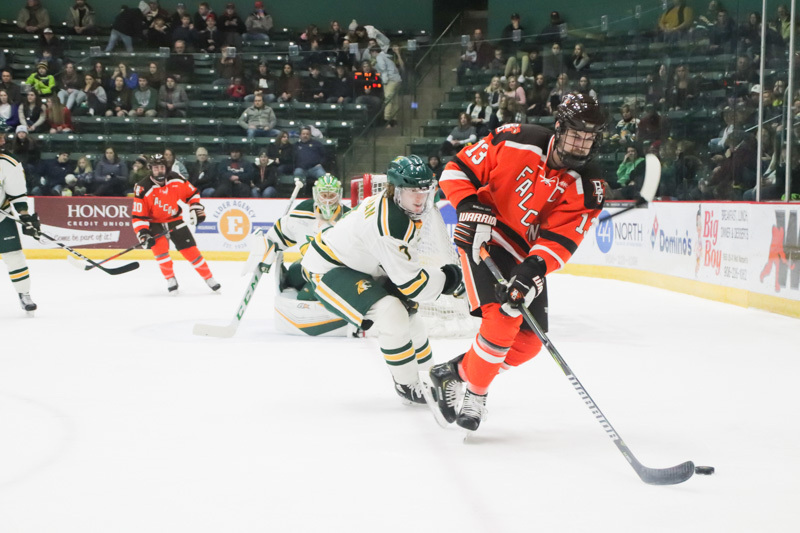 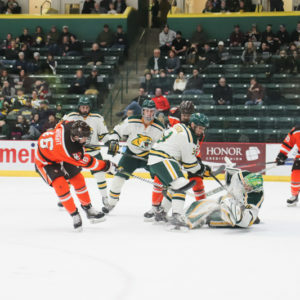 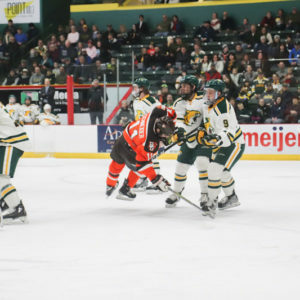 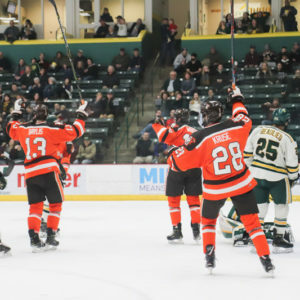 Marquette, MI – The 13th-ranked Falcons can’t seem to get over their split streak as they picked up their fifth straight win/loss weekend thanks to a 3-2 loss to Northern Michigan Saturday. 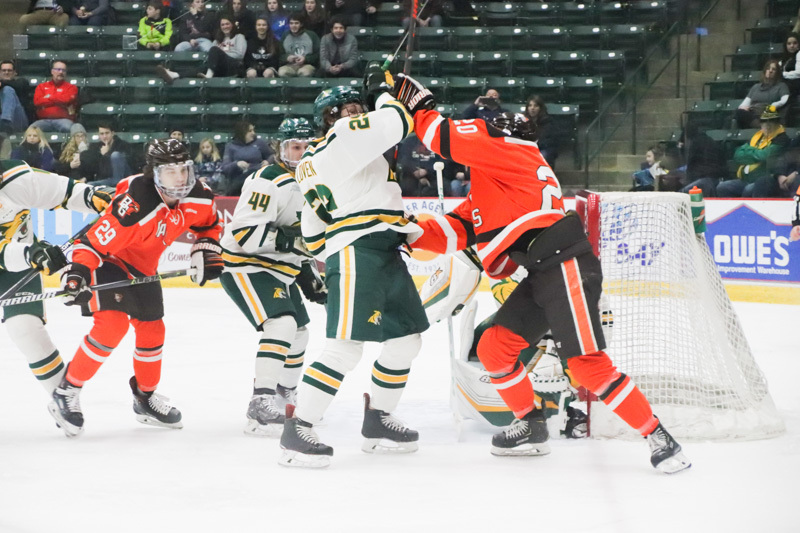 It was an identical goaltender matchup as the Friday game, with Ryan Bednard (20 saves) for Bowling Green and Atte Tolvanen (26 saves) for Northern Michigan minding their respective team’s nets. 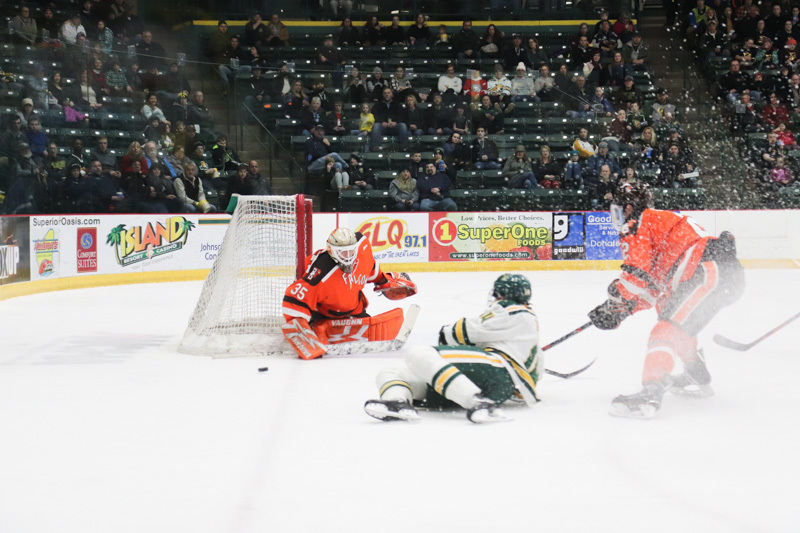 The Wildcats scored the game’s first goal at 10:36 of the first period. 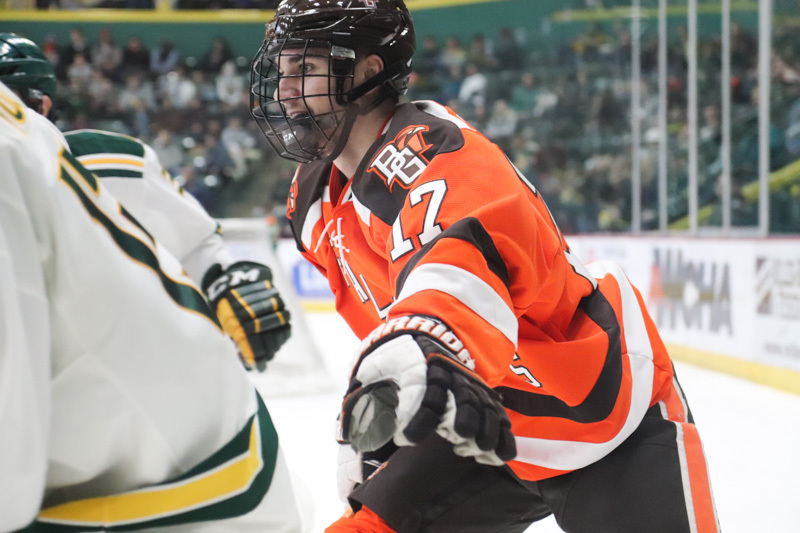 Grant Loven netted a rebound goal at 10:36 of the first period. 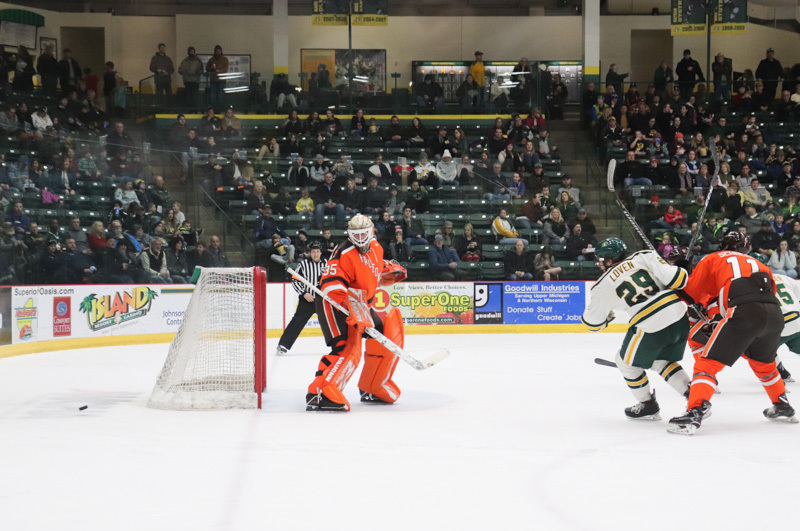 Northern Michigan followed up with another rebound goal at 12:00 of the first period by Luke Voltin for a 2-0 lead. 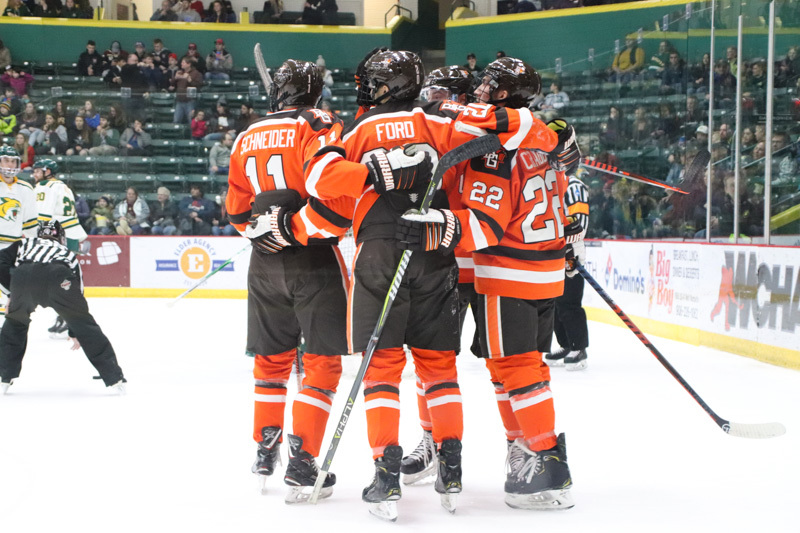 Bowling Green got on the board with a power-play goal at 14:25 of the first period. 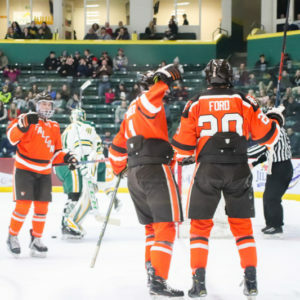 Lukas Craggs found Connor Ford on the backdoor, who one-timed the puck past Tolvanen. 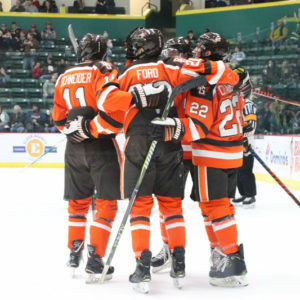 The goal was Ford’s 11th of the season and was also assisted by Alec Rauhauser. 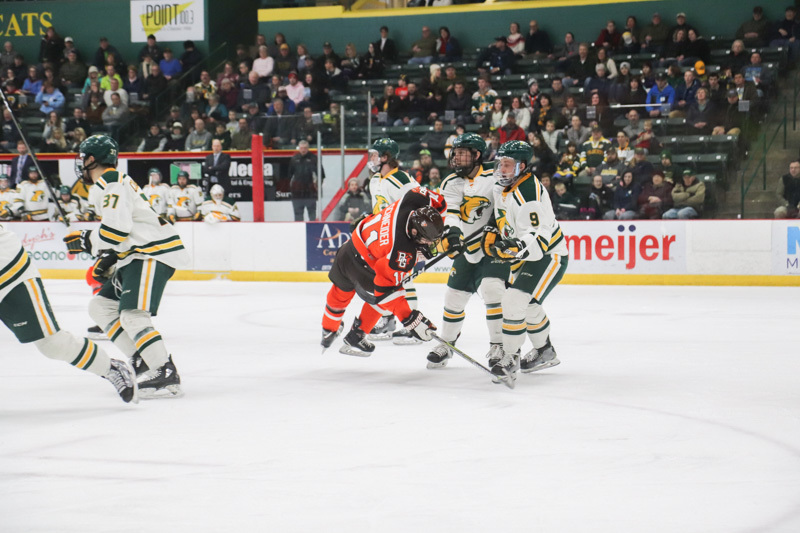 Northern Michigan again pushed their lead to two goals at 16:09 of the first period. 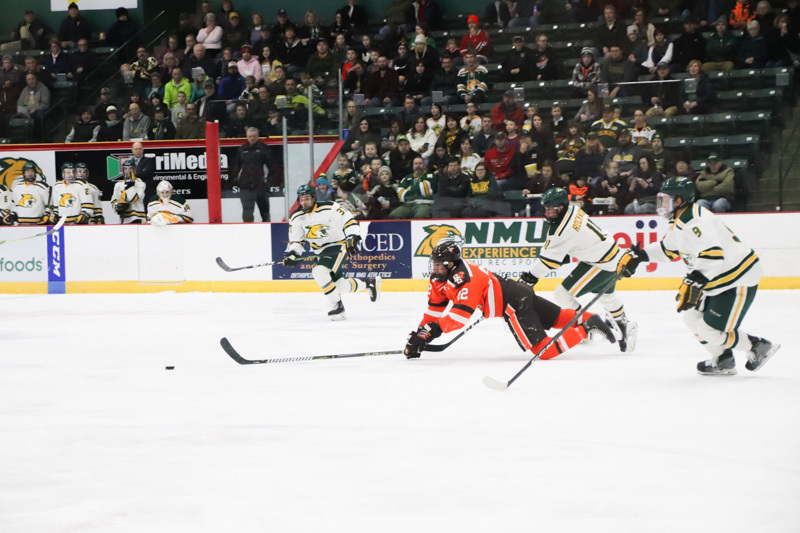 Darrien Craighead completed a three-way passing play to push the Wildcats’ lead to 3-1. 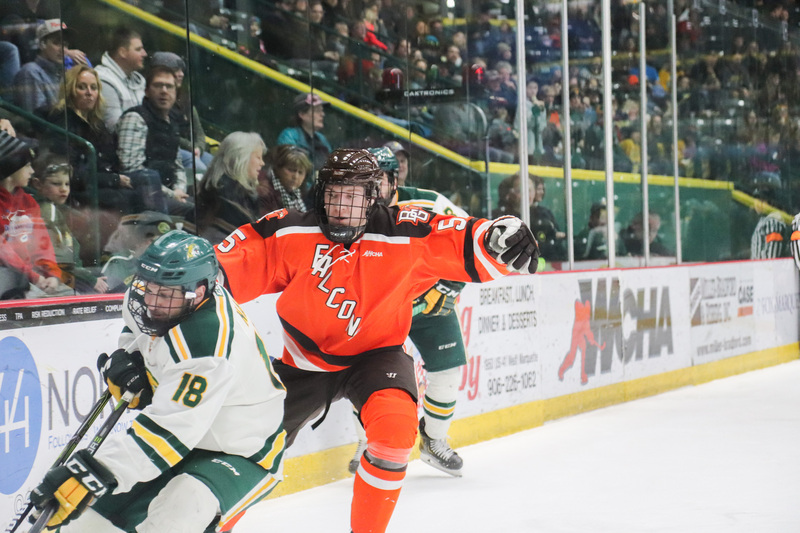 The Wildcats had 10 shots in the opening period while the Falcons had eight attempts. 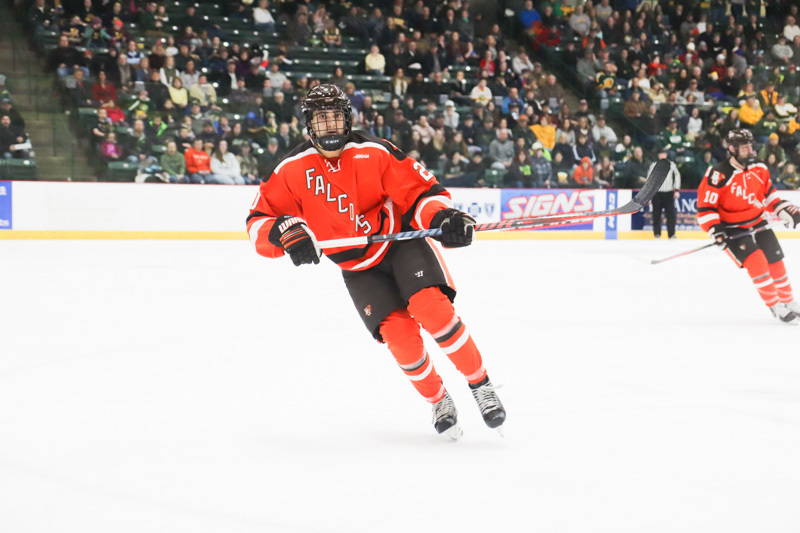 Space on the Olympic-sized ice sheet shrunk in the second period. 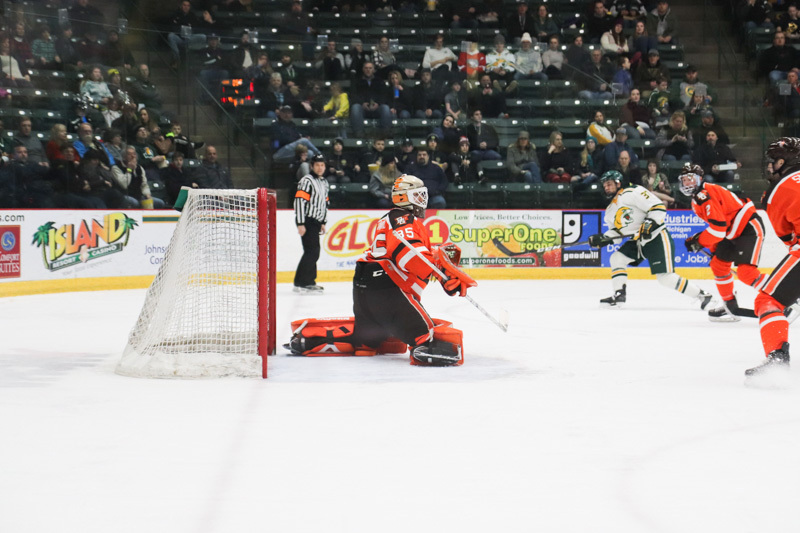 Neither team found the net and each only produced five shots on net. 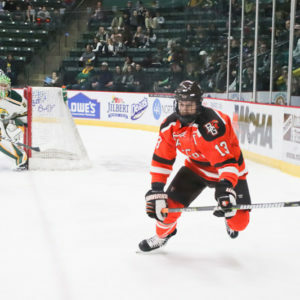 The Falcons pulled Bednard for an extra-attacker with under three minutes to play in the game. 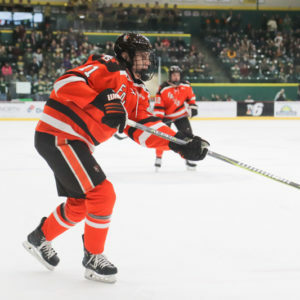 John Schilling sniped a wrist shot that beat Tolvanen over his glove with 27.2 seconds to play. 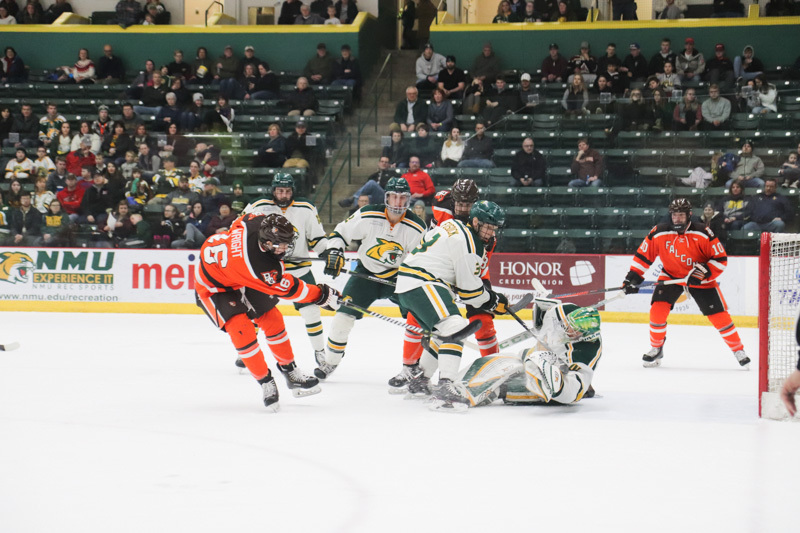 Chris Pohlkamp and Lukas Craggs assisted on Schilling’s goal, his fourth of the season. But, the Falcons were unable to score the game’s tying goal and fell 3-2. 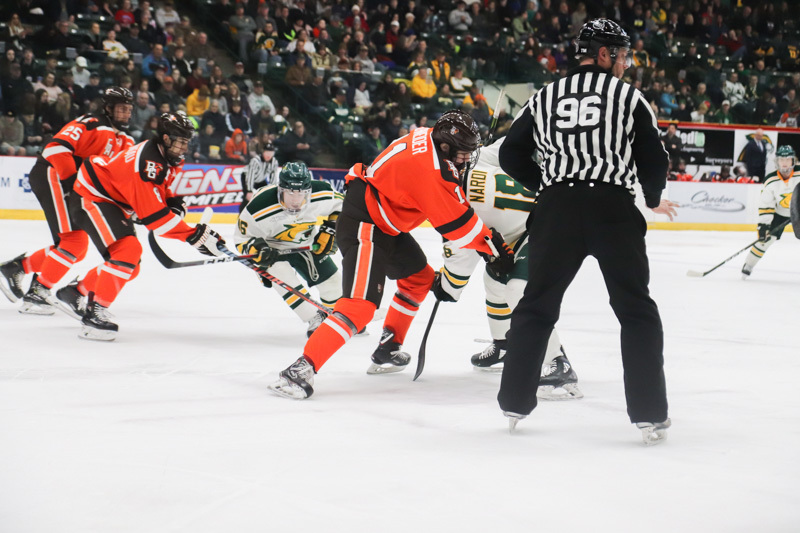 Bowling Green finished the period with 14 shots on net while Northern Michigan had eight. 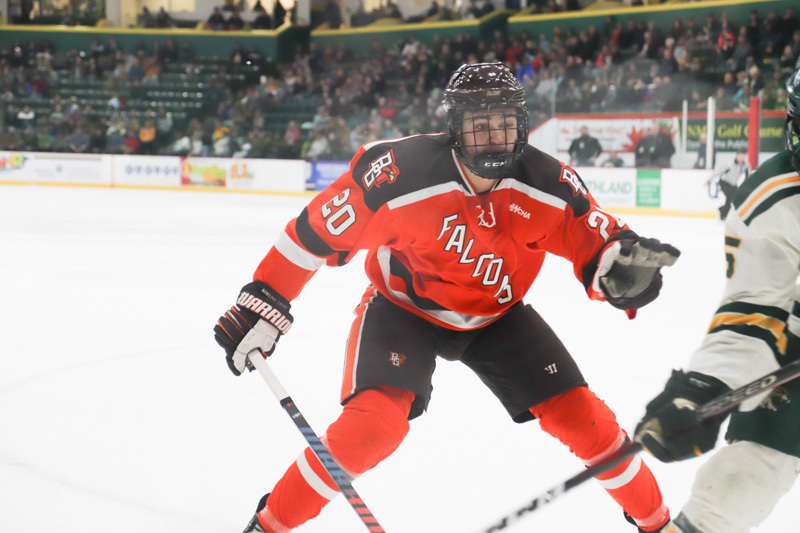 With the loss, the Falcons fall to 18-8-3, 13-7-2-2. 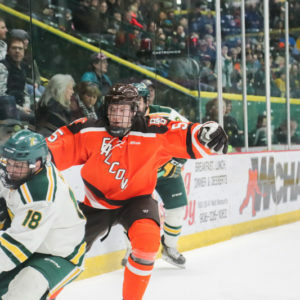 The Wildcats improve to 14-13-0, 13-7-0-0. 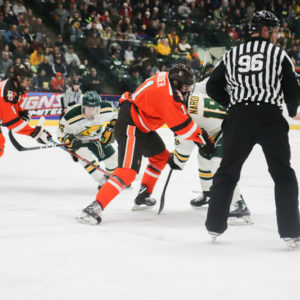 Bowling Green will have t next weekend off before welcoming the Alaska Nanooks on 2/15/19. 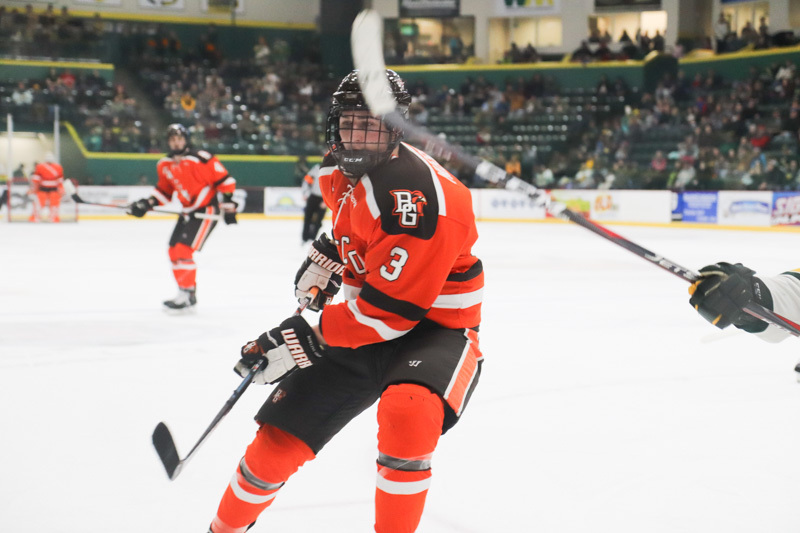 Jessi is a senior attending BGSU majoring in Photography. 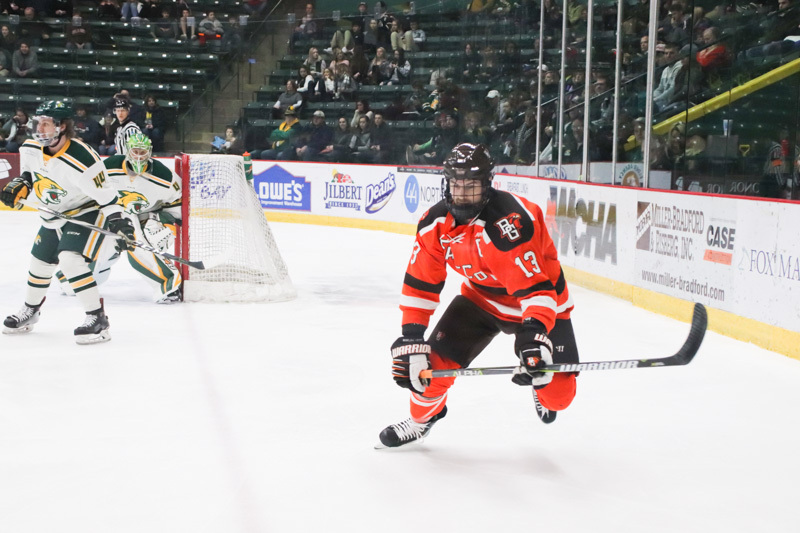 She's from a suburb of Cincinnati and came to Bowling Green fall of 2015. 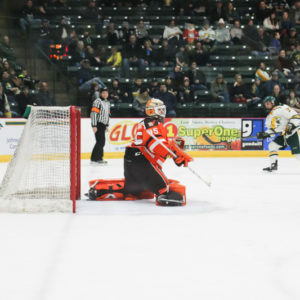 She's been working with digital photography for around 7 years now and has been working with film photography for 5 years. 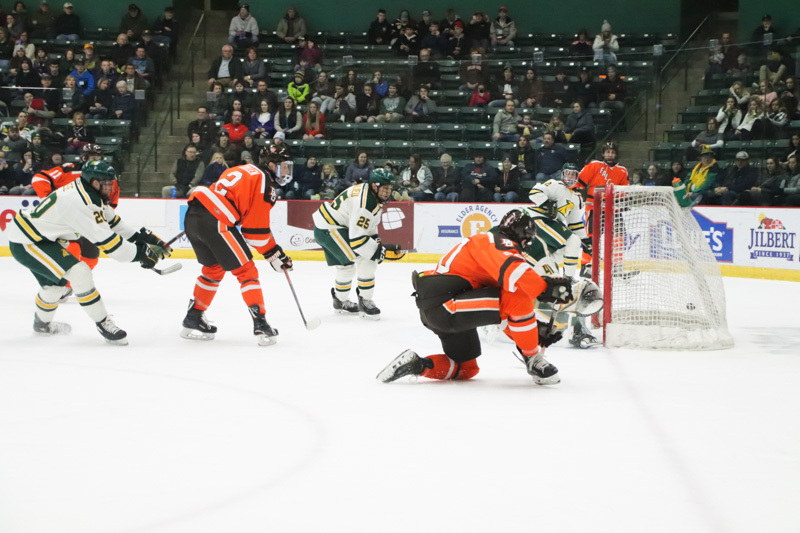 I have been a photographer for us since February of 2016. 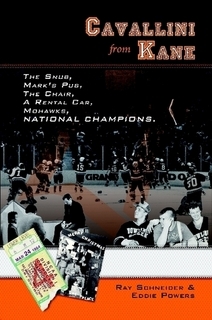 During the off-season I am a games supervisor at the amusement park Kings Island in Mason, OH. 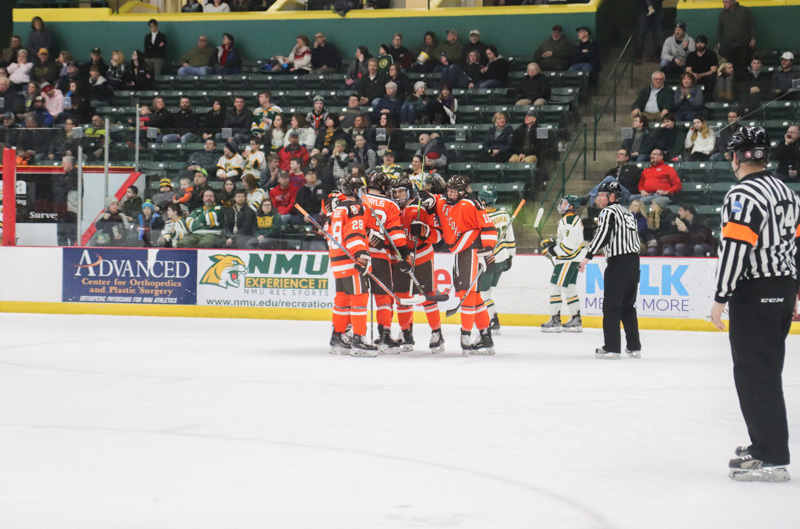 In my free time I enjoy hanging out with friends, watching other sports and binge watching shows on Netflix. 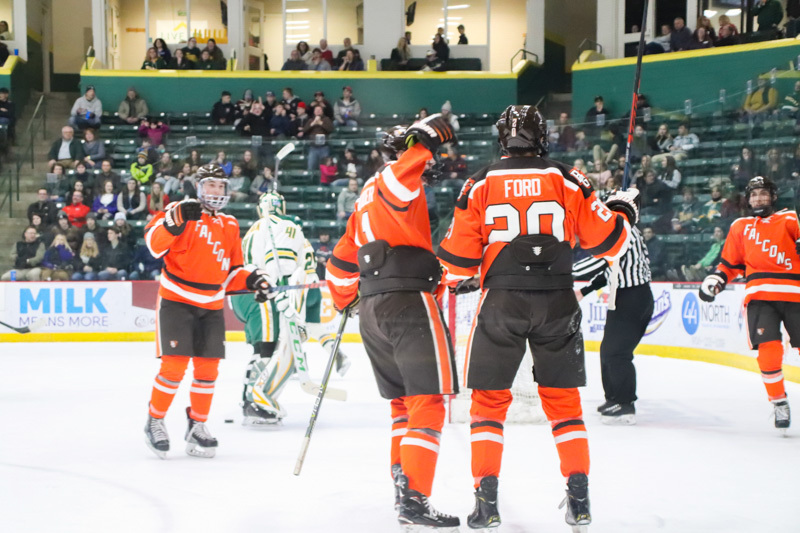 I can be reached on Twitter @JessiCarolyn_12 or by email at jrenner@bgsu.edu.